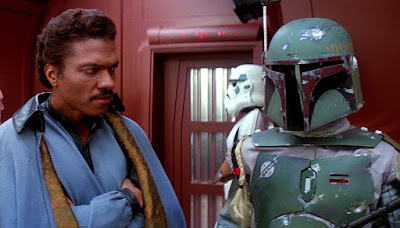 If there's one character that die hard Star Wars fans have been clamoring for it's a Boba Fett film. Now it is officially happening, as Walt Disney Studios and Lucasfilm have enlisted Academy Award-nominated director James Mangold to write and direct a Boba Fett standalone film. It will be the latest entry in their continuing Star Wars anthology series. Mangold's credits include The Wolverine, Logan, Walk The Line, Knight and Day, 3:10 to Yuma, Kate & Leopold, Girl, Interrupted, and Cop Land. He is currently working on a Ford vs. Ferrari drama for 20th Century Fox, which will feature Matt Damon and Christian Bale. The studios are simultaneously developing films based on a number of characters, including Obi-Wan Kenobi. The Obi-Wan Kenobi spin-off film has yet to be officially announced, but pre-production of the film is well under way and the studio is eyeing to begin shooting in January of 2019 with a December 2020 release date. Reported by Fantha Tracks, the movie had been rumored for some time, but has never been officially announced. Director Stephen Daldry and a writing team are said to have been working on the project since late last year. "The project is sufficiently along that an art department is now in full pre-production mode at Pinewood Studios, England with ancillary work being carried out at Industrial Light & Magic in London. A number of concept artists, prop modellers, and storyboard artists are working as a team across the two locations on the film, with the group growing in numbers every month. The scheduled release date is December 2020." No casting rumors of information were contained in the documents that were reportedly seen.